It’s another busy day so this is going to be quick! I bet some days ya’ll really appreciate that. The pillow post yesterday was a long one because of the tutorial. Thought I’d give you a break today. 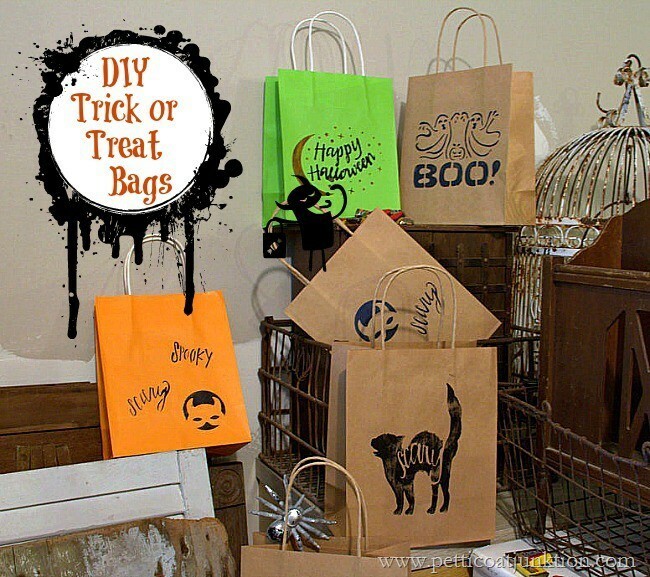 Yesterday I went into the workshop with the idea to make these simple trick or treat bags. I pulled all this stuff from my supplies. 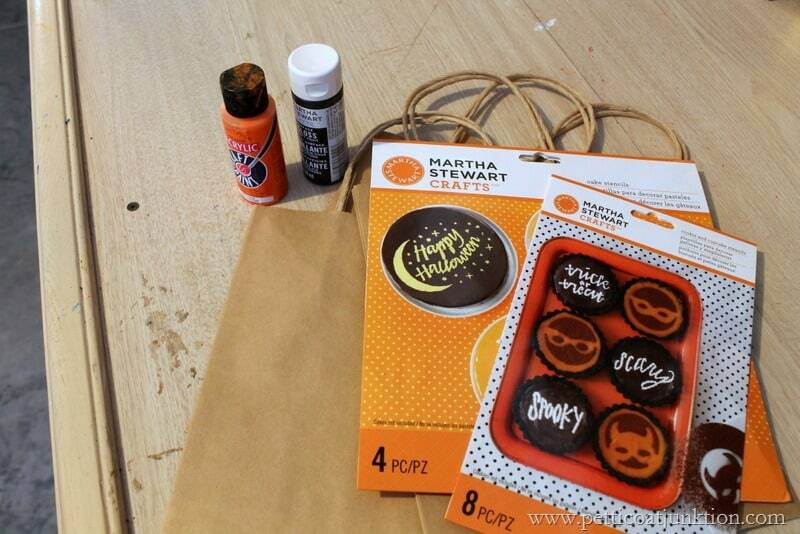 The Martha Stewart stencils are a purchase from last year and the brown Kraft bags……well, I’ve had them forever. At one time I purchased a few dozen of them because they make great gift bags. You can decorate them for any occasion and they are inexpensive. I don’t remember the exact price but probably about .50-.75 cents each. 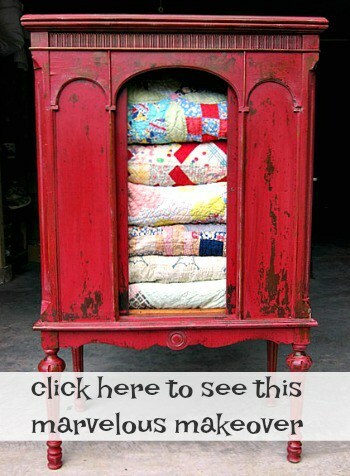 They’re heavy duty too…..not the thin stuff. I grabbed a few little bottles of acrylic paint and a brush and went to work. I also found this boo stencil in my junk stash. Everything was just done willy-nilly and took about 15 minutes! I’ve been spending time with my oldest granddaughter this week since she is on Fall break and I was off Monday and Tuesday…back to school today. 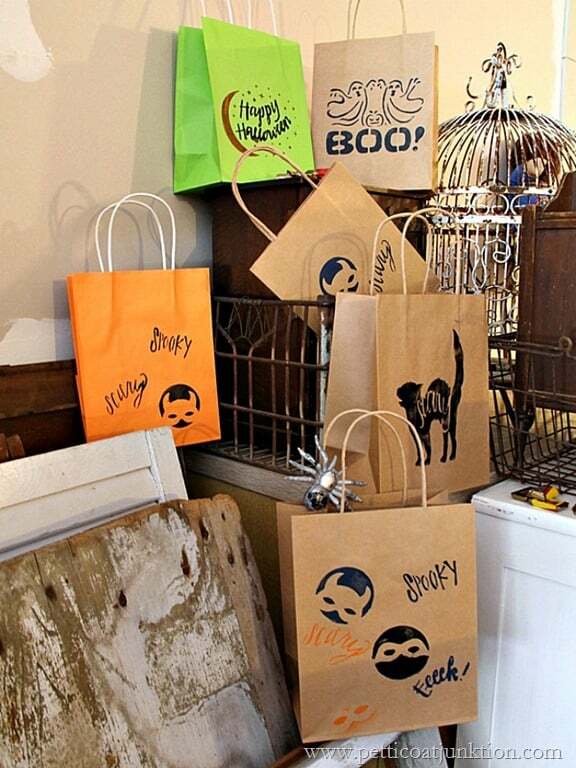 We’ve had a lot of fun and I haven’t finished many projects….but that’s okay. I wouldn’t miss spending time with Tenley for anything. Our Fun with Fabric Pillow Tour continues today. All the photo links are below so be sure and take the tour. 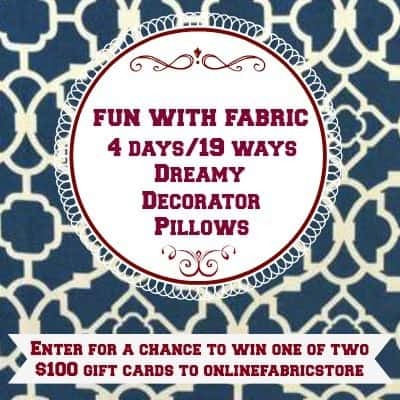 The giveaway for 2 $100 OnLineFabricStore gift cards is on the Pillow post too. 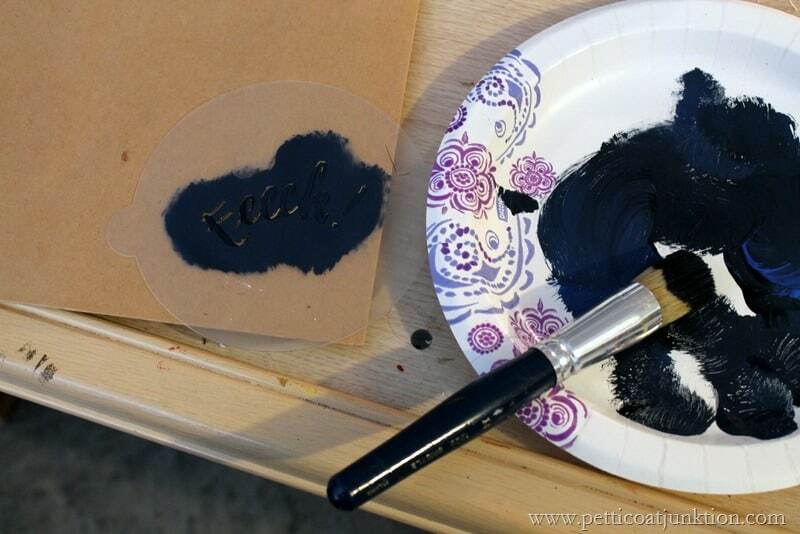 You know you want to enter the giveaway! 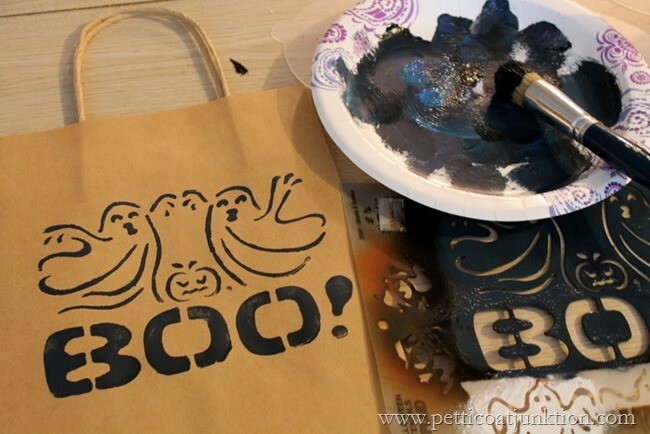 These are great, when I was a kid we used pillow cases. LOL, that was fun. 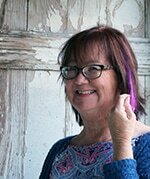 Thanks so much Kathy for stopping by my blog today. Your the best.